Cameron McNeish celebrates the best of Scotland with a spectacular walk from the south-west tip at the Mull of Galloway to the busy ferry port of Oban. Cameron McNeish celebrates the best of Scotland with a spectacular walk from the south-west tip at the Mull of Galloway to the busy ferry port of Oban. It's a journey from sea level to mountaintop, but also a personal one as Cameron weaves his way through the landscape and visits five very different islands. In the first of two programmes Cameron completes the initial half of this 250-mile route, including an ascent of the highest mountain in the Southern Uplands, the Merrick. At shore level he discovers a coastline steeped in history that spans the centuries. He sets foot on an island that reminds him of a Tibetan trek, experiences ideal conditions on Arran's Goatfell and fulfills a long-held ambition in visiting the ancient seat of the Lord of the Isles. Both part of the Western Way together in one package. 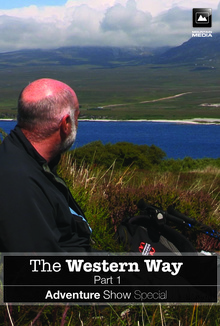 17 Feature length one hour programme's, alongside 24 bite-sized Wild Walks, with Scotland's best know mountain walker Cameron McNeish.